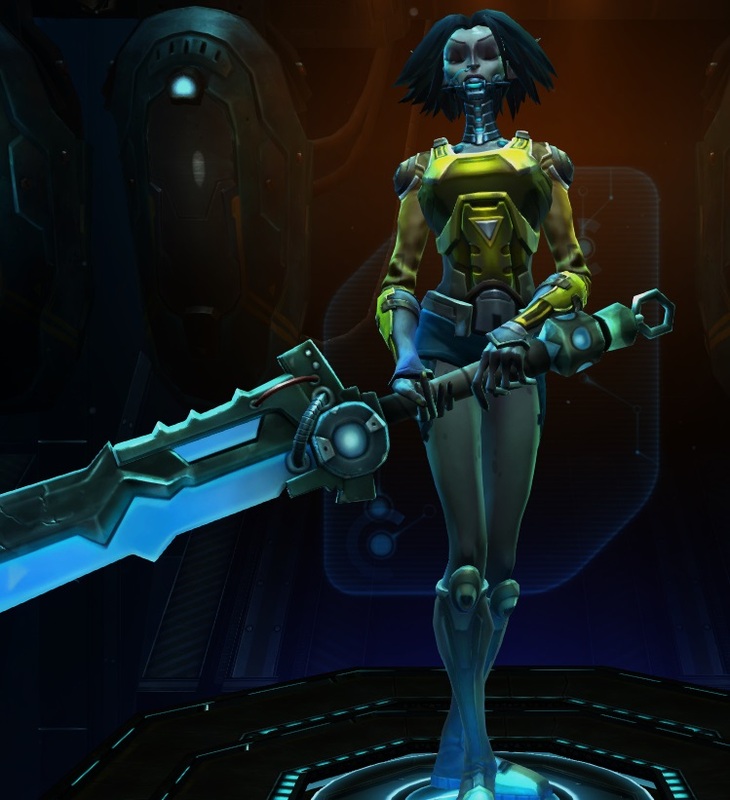 With the Sabotage drop upon us PvP is taking center stage for a while in WildStar. In preparation, I decided to try some PvP myself and get a feel for how it works in this game. Over many years of playing WoW, I only did battlegrounds when forced to for holidays or the legendary quest chain. In other games I was much more open to trying to kill my fellow players. I think my favorite experience was the leveling bracket PvP in SW:TOR. For some unknown reason I actually enjoyed Huttball. 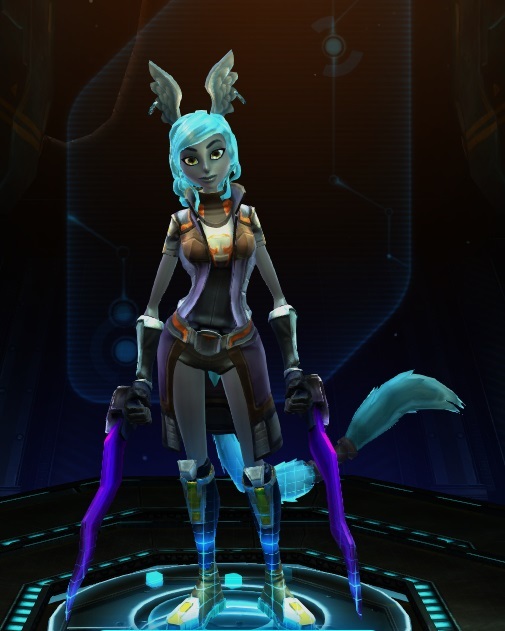 WildStar’s leveling brackets feel similar to me, and I’ve been enjoying them! Here’s some advice if you’re new to PvP and want to give it a go. I’m just going to get the most important advice out of the way first. Bring friends, as many as you can coerce into joining you. It doesn’t matter if they know what they are doing or not. If you’re new, you can be new and confused together and laugh at your misfortunes as you learn. If you have a pro PvPer friend they can help explain what is going on. Either way, the more people you have the more fun you’ll have. As an added bonus, the more friends you bring means the fewer strangers. I am nervous when I’m learning, so having friends along means I don’t have to embarrass myself in front of strangers! Following on the prior section, there will always be that jerk who gets under your skin yelling at you because you don’t know what you’re doing yet. Feel free to ignore them! And know that most of the folks you’ll play with are actually pretty cool, or at least neutral. I’ve had more good experiences with random people in WildStar’s battlegrounds than bad ones, but the fact is that people can be jerks and yell when they’re annoyed and you’re not obligated to listen to them. When you join a battleground, you’ll have a minute or two to sit around before the match actually starts. Use this time to take a look at the map and try to get a feel for the layout. Where’s your base? Where are objectives? Orient yourself ahead of time and you’ll look like you know what you’re doing! 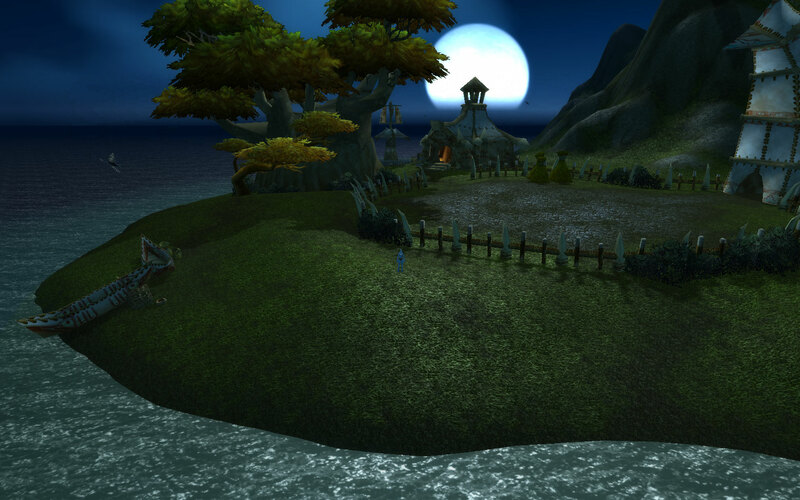 If you’re in a battleground for the first time, follow the group and try to help heal or kill as a part of the group. Try not to run off and explore, and avoid engaging the enemy by yourself if you can. Following along with everyone else will seem chaotic and confusing but over the course of a match you will start to see the patterns of what people are doing and get a sense of how the battleground works. I think the first night I ran battlegrounds with my friends in the level 6-14 bracket we won one match the whole night. We still had a blast though! Our low expectations saved us from getting too mad at our losses. As you learn and play a lot more you’ll do a little better, but it is always good to have realistic expectations. You’ll definitely not be winning all the time. 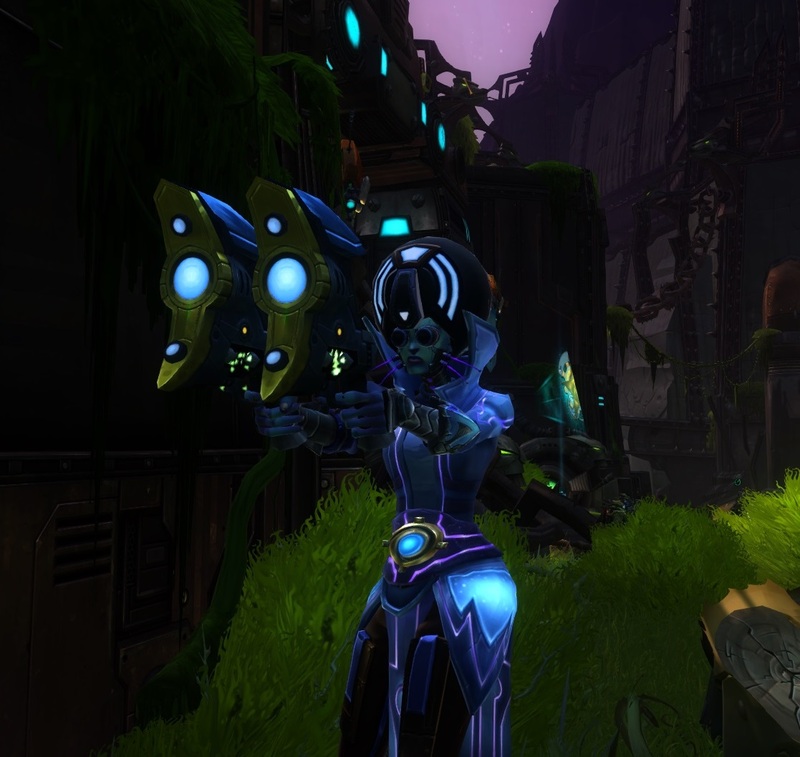 Psynister has an awesome guide to Walatiki Temple, the first battleground available in WildStar when you reach level 6. Don’t stress yourself out worrying about the finer points of strategy right away though. I will admit that I read it before I tried battlegrounds for the first time, and it was a bit overwhelming. I’d recommend taking a quick look at that guide, trying the battleground for yourself once or twice, and then going back and read in-depth. I found everything made much more sense once I had seen it for myself first, and the advice in the guide was quite helpful once I knew enough to understand it! The obvious advice, but important! Don’t keep forcing yourself to queue if you’re not enjoying it or you’re burning out. Give PvP a shot and see how it works, and then decide if it is something you’d like to keep doing. And don’t forget, there’s housing decor to be bought with prestige, the PvP currency, and decor can drop from the reward bags too! There’s been some back and forth on social media lately about player housing in games, and specifically how WoW’s new garrison feature shouldn’t be judged as player housing. There was an article on Massively that was quite critical of garrisons, and this prompted a response at ALT:ernative and on Twitter that it is not ok to critique a feature that is still in development. While I think the Massively article might have been overly harsh, I would like to politely disagree with the idea that one has to wait to see the finished product before forming an opinion. 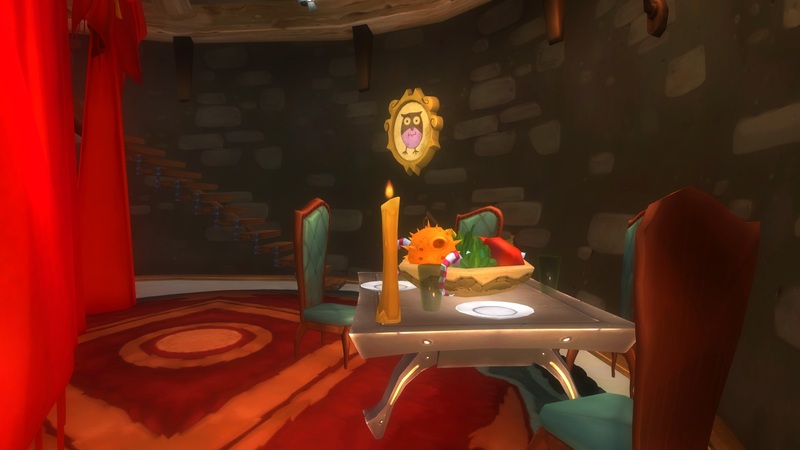 So today I wanted to use this blog space to figure out what I think constitutes player housing and why WildStar’s in particular won me over when other games left me cold. Hang in there folks, this is a long one. 1. Unique to the player – MMOs are vast shared worlds, but sometimes a hero just needs to put her feet up and unwind in her own personal space. Player housing can be instanced, phased, or open-world, but each character or player must have a space of their very own. 2. Control and choice – You can’t call it player housing if everyone gets the same exact thing. Starships in SWTOR are pretty neat personal spaces, but aside from very restricted legacy perks there’s no difference between one and the next. Player housing lets me make choices about what I want on my little piece of the world, and control how my house looks and feels. 3. Showing off – Admit it, there’s an element of “hey look at this cool thing I did” to putting certain things in your house. Player housing should let you show off your skills or dedication. This could be in the form of trophies on the wall, or the house itself, masterfully built from 300 individual pieces of decor. By my own definition they are. Whether or not Blizzard calls them by that name, they sure feel like they meet the minimum qualifications of player housing to me. This is where we run into trouble. Since garrisons feel like housing, people want to compare them to housing systems in other games. I think this is fair. No, garrisons are never going to be a place where you can freeform build your own castle out of spare parts. 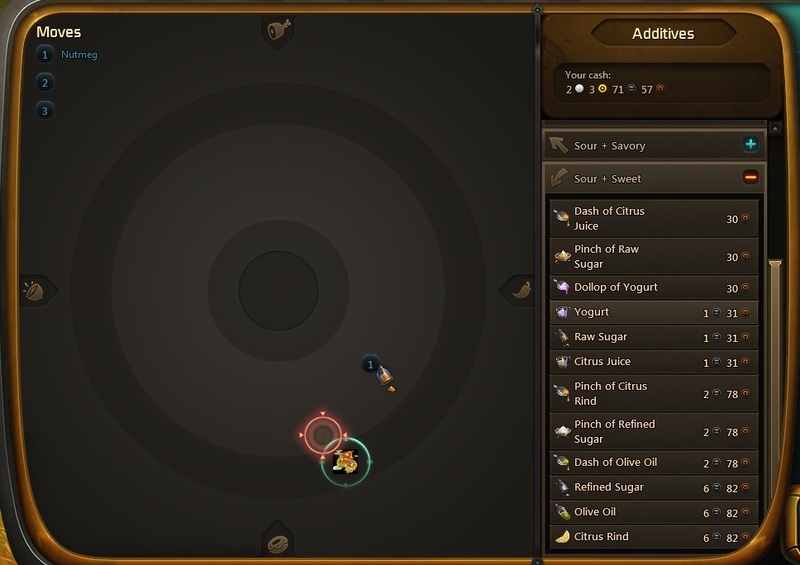 They are a unique space where the player has control and choice, and can show off their accomplishments with trophies or rare followers. 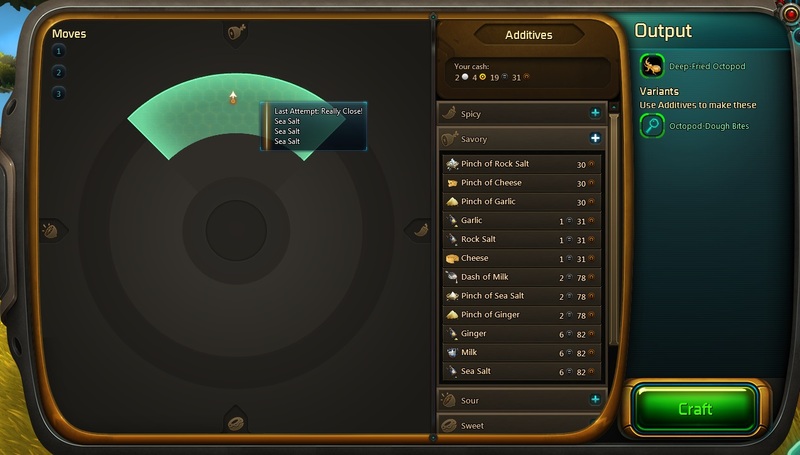 They’ve also got an associated minigame, implications for crafting, and some integration with questing. That seems interesting, but none of it disqualifies them as player housing! I think it is completely valid to compare WoW’s offering with other player housing systems. Garrisons have some neat features even if they don’t appeal strongly to me. I do believe that one of the things fans and critics are reacting to is the fact that Blizzard seems to be removing some of the opportunities for choice, like which zone your garrison got placed in. Removing choices doesn’t usually feel fun, even when it ends up being for the best in the end. I personally was enthusiastic about the idea of garrisons when they were announced, but gradually lost most of that enthusiasm as I learned more details and choices became more restrictive. 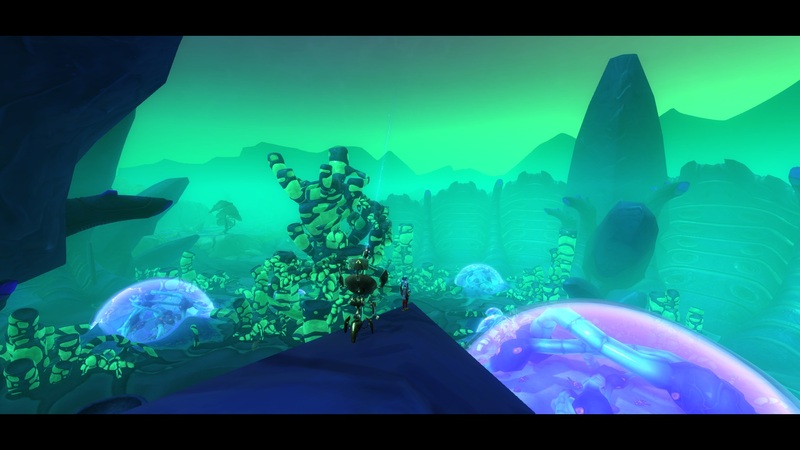 I was fortunate enough to get a WildStar beta key. I enjoyed the game when I saw it in its beta state, but when I got to 14 and saw the housing I was blown away. Until that time I was not a MMO housing fanatic. I had seen the systems on offer in a couple other games and didn’t have any strong feelings one way or the other. That unfinished beta experience gave me a glimpse of a housing system that I could absolutely fall in love with. 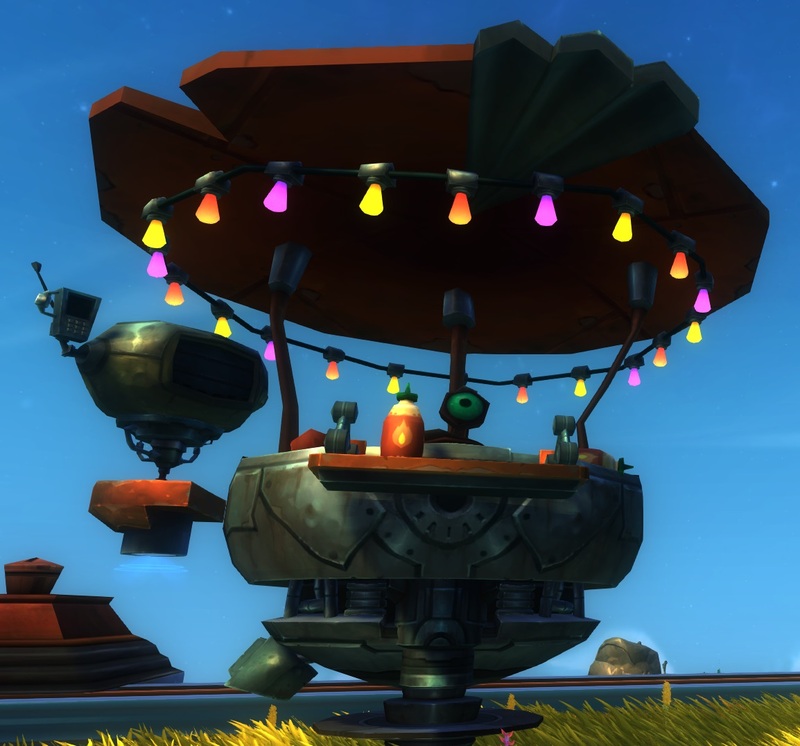 The combination of freeform building with prepackaged kits, the fun minigames and mini-dungeons, and the hugely social nature of WildStar’s housing melted my housing-neutral heart. It was still buggy, it was still a work in progress, but I could see the shape it was taking and I liked what I saw. This is one of several reasons why I think it is incredibly unfair to say you shouldn’t judge content until you see the final, finished work. 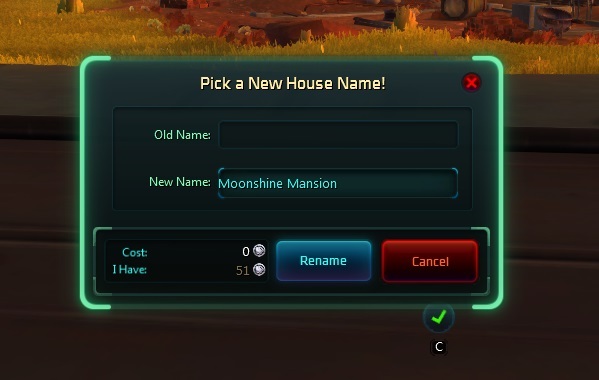 If I had waited for that with WildStar I may have never purchased the game at all! Getting in early and seeing it develop and grow and being a part of the pre-launch hype really contributed to my enjoyment of the game. The friends I made during that time are my awesome guildies now. Waiting for long enough post-launch to get a concrete review would have meant missing out on some amazing fun experiences! So conversely, if people see something in a beta that they don’t care for, I think that experience is also valid and should be considered. What good is a beta test if nobody feels free to give feedback on anything except technical bugs? Additionally, for cash-strapped gamers beta access has become a way to get a trial run of a new game. Ignoring beta experiences means either ponying up the cost of entry based on the hope that things will turn out ok, or waiting until post-launch reviews are out and playing catch-up. And finally, not everyone gets a chance to beta test a new game. Lots of folks rely on the first impressions of those lucky people who get beta invites. Opinions formed during beta absolutely matter, for better or worse. WoW’s garrisons sure look like player housing to me. 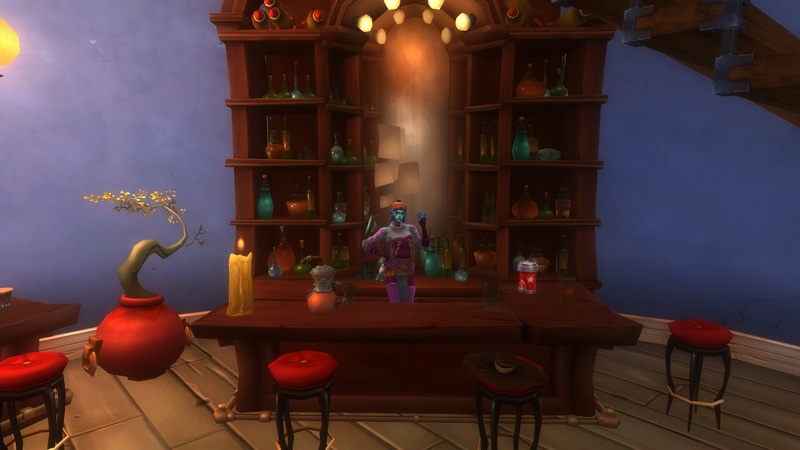 While I vastly prefer WildStar’s take on the feature, I’m glad there’s space in the MMO world for experimentation with lots of different flavors of player housing. As a former long-term WoW player I’m glad to see those players finally get a little piece of Azeroth (ok, fine, Draenor) to call their own. And I think that player responses to beta content, whether enthusiastic, apathetic, or downright bitter, shouldn’t be dismissed out of hand just because the work is still in progress. My Spellslinger has been at 50 for a couple weeks now, so it is time to start working on an alt. Or 5. Seriously, I need more character slots, it is killing me that I have no room for Dominion alts on the only RP server. Anyhow, I thought I’d use this chance to introduce you to my alt stable, and maybe get some opinions on who should get the bulk of my attentions next. This is my highest-level alt at the moment. I love the Granok character models, and especially how cute she looks in her soldier hat! I’m regretting the soldier choice a little bit though with this one, I’m worried the medic is going to have trouble finishing holdouts on her own. I like the gameplay of the medic but it definitely feels like it is lacking some of the punch of the spellslinger. 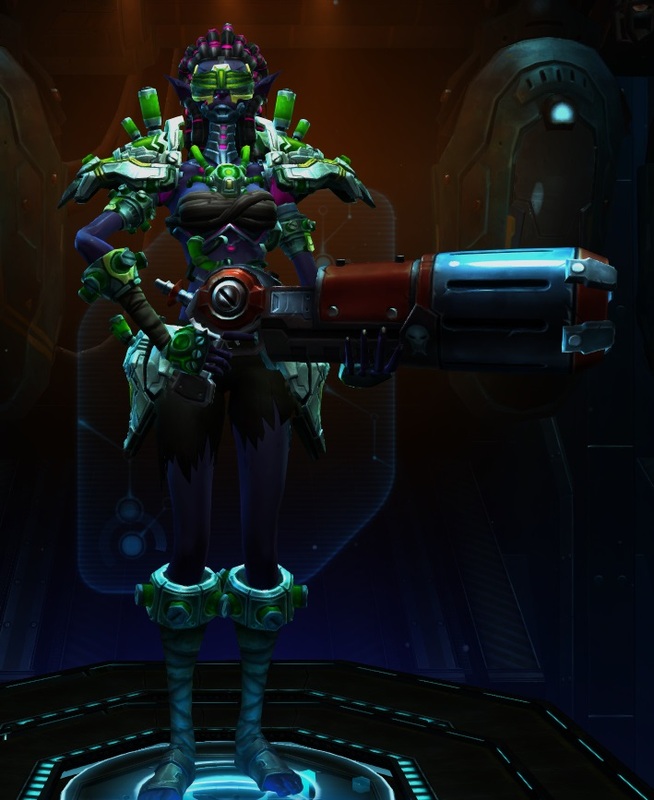 Hopefully I get a chance to do some healing with her soon so I can see how that toolkit works. 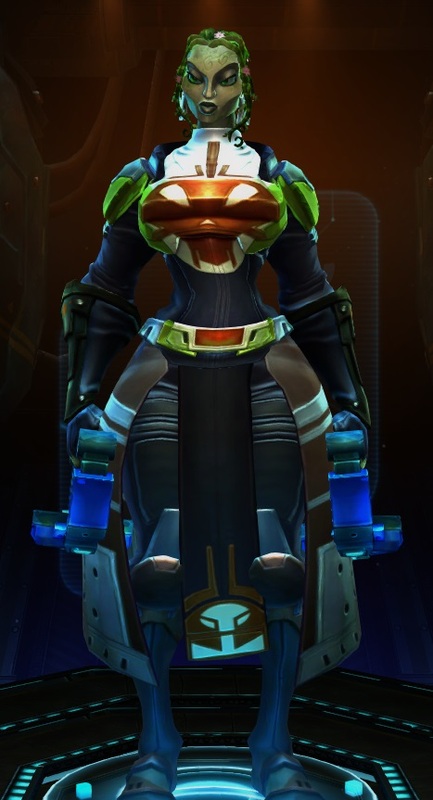 This lady is my technologist, and thank goodness I have a main that I can funnel cash and mats from because even at low levels tradeskills are expensive. She was the first alt I started leveling, but stalled out once she got her house. This might be my favorite character, looks-wise. I am going to have to make sure that any costumes she wears don’t hide her amazing hair. Engineer as a class feels pretty good overall, but those damn bots really know how to get into some trouble. Hopefully as the pathing/AI improves the overall fun of this class will also improve. Adorable and deadly. I worked up the appearance of this one during beta and liked it so much I saved it and used it on live as well. She’s just a shiny silver fluffy angel and watch out because she will cut you. Usually I despise melee classes in MMOs, but stalker is pure fun. I’ve even been able to solo primes with this one, she can definitely hold her own in a fight. This might end up being my tank alt if I keep enjoying it this much. I have to say though, settler is by far my least favorite path to play. I love you other settlers, thank you for your buffs they are great, but I am not enjoying the “gather resources and build things” playstyle myself. 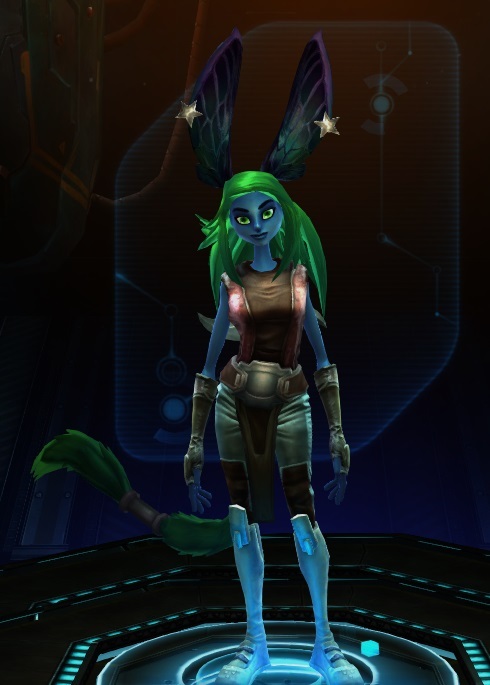 The thing I like most about this alt is the insect-wing-ears. I really want to try esper healing at some point, but right now leveling this class is the pits. She’s going to stay parked until some of the mobility changes for espers get patched in. It is a shame because I really like the scientist path, and because in MMOs with less punishing movement requirements this class would be exactly what I want to play most. 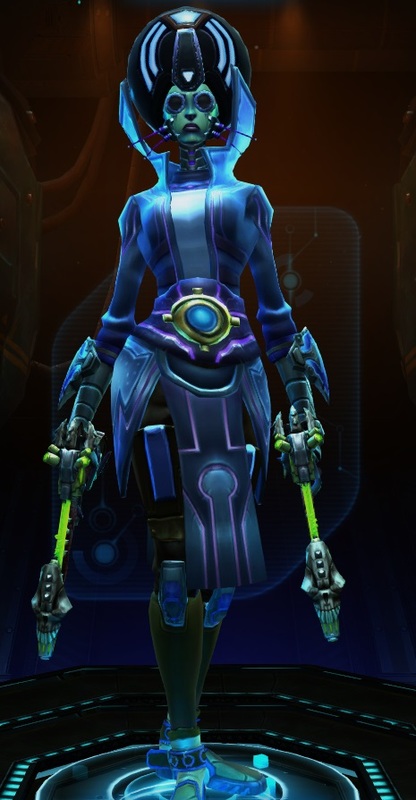 I’m looking forward to being able to level her without feeling frustrated all the time at the lack of mobility. She’s blinking. And her sword doesn’t fit. It’s like she knows I don’t like her. Mordesh are awesome and look awesome, but I doubt there’s anything in the ‘verse that will get me to enjoy playing a warrior class in a MMO. It’s just not my style. I intend to give her the benefit of the doubt and get her to 14 at least. Mostly because I want the extra housing plot, but still it is giving her a chance. Maybe it will surprise me. I do feel that melee classes in WildStar are much more fun than other games I’ve played, since everything is a telegraph instead of targeted attacks. It helps equalize them a little bit more with the ranged classes. So right now it looks like either the stalker or the medic will be the next to get leveled. I’m still waffling. Any suggestions, or comments on higher-level gameplay that might tip the balance? Let me know! I guess I hit 50 just in time! Honestly when I was planning to get to 50 before the Strain ultra-drop happened, I didn’t think it would be happening on July 1. When’s the last time a game developer promised you something “in July” and delivered on the very first possible day? Once again three cheers for the hardworking staff at Carbine for exceeding my expectations. I definitely didn’t feel completely prepared for the new content after only having a couple days to get used to being 50 but after the long holiday weekend here in the States I’ve worked through much of it and had some time to digest. Here are some of my random musings. Northern Wastes: I love how both of the daily questing zones have taken starter areas (one Dommie, one Exile) and revamped them to level 50 content. The landscape is the same, and presumably saved a lot of development time, but they do feel quite different from the starter experience due to the change in quest hubs and mob populations. The newer zone added with the ultra-drop feels like it has more quests, but they’re grouped so tightly together that they are a breeze to complete. At least one of the dailies was bugged on the first day but got fixed quickly. Overall there’s nothing Nexus-shattering going on here but as far as daily questing goes the zone is quite enjoyable. Now my next steps will involve slowly working on my attunement, running dailies, poking at veteran dungeons and adventures, and most likely leveling an army of alts. Also I guess I’ll probably be killing that flaming 20+person raid chicken a lot to try to get enough rep to buy all the strain goodies. Oh, and saving up the ridiculous amount of plat needed to buy the strain hoverboard!